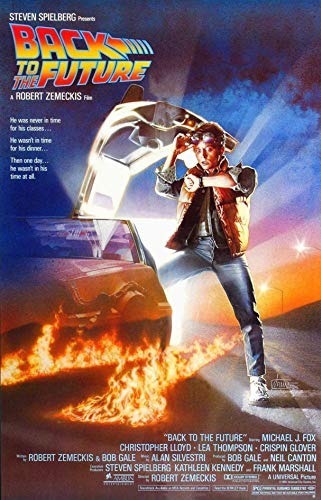 Marty is invited by his friend, eccentric inventor Dr. Emmett Brown, to meet him in a parking lot in the early hours. Doc unveils a time machine built from a modified DeLorean and powered by plutonium stolen from terrorists. Preparing to demonstrate the time machine, Doc sets the date to November 5, 1955: the day he invented time travel. The terrorists arrive and shoot Doc. Marty escapes in the DeLorean, but inadvertently activates the time machine. Read more on Wikipedia.